Berne Declaration - A Swiss non-governmental organization with 21,000 members. Through research, public education and advocacy work, it has promoted more equitable, sustainable and democratic North-South relations since 1968. Campaign to Stop Killer Robots - An international coalition of non-governmental organizations (NGOs) working to ban fully autonomous weapons. Center for Partnership Studies (CPS) - A network to develop the foundations for a caring partnership economics formed with representatives from government, business, civil society, and academic sectors. CPS is a member of the NGO (nongovernmental organization) section of the United Nations and supports the UN Millennial Goals. CoDevelopment Canada - Works for social change and global education in the Americas. Founded in 1985 by a group of activists who wanted to go beyond financial aid, CoDev builds partnerships between like-minded organizations in Canada and Latin America to foster learning, social change, and community empowerment. These partnerships educate Canadians about Latin America and allow them to directly support the region. Conciliation Resources - A peacebuilding NGO supporting people at the heart of conflicts who are striving to find solutions. Working to improve global conflict policies, with a focus on the UK, EU and UN, and the regions in which it works. Conflict Awareness Project (CAP) - An international non-governmental organization dedicated to investigating, documenting and bringing to justice major arms traffickers, war profiteers, and transnational criminal networks that fuel conflict around the globe. Crisis Group - A leading source of information, analysis and policy advice on preventing and resolving deadly conflict. Defence for Children International - An independent non-governmental organisation that has been promoting and protecting children's rights on a global, regional, national and local level for over 30 years. Funds for NGOs - Grants and resources for sustainability NGOs. International Association of Democratic Lawyers - An NGO with consultative status to ECOSOC and UNESCO. Media Legal Defense Initiative (MLDI) - A non-governmental organisation which helps journalists and independent media outlets around the world defend their rights. Works directly with individual lawyers around the world, and also has partnerships with national organisations who provide legal aid to journalists. Migrants' Rights Network (MRN) - NGO working and campaigning in support of migrants in the UK. Movement for the Quality of Government - Jerusalem-based NGO committed to promoting values of democracy, transparency, good governance and civic engagement in the Israeli society. NGO Cafe - A meeting place for NGOs to discuss, debate and disseminate information on their work, strategies and results. 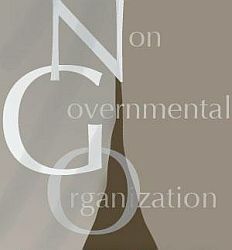 NGO Global Network - Home page non-governmental organizations (NGOs) associated with the United Nations. NGO Monitor - Provides information and analysis, promotes accountability, and supports discussion on the reports and activities of NGOs (non-governmental organizations) claiming to advance human rights and humanitarian agendas. NGO Research Guide - Database of some of the larger and more influential NGOs operating internationally. Organized by Full List of NGOs, NGOs by Geography, NGO Affiliations, NGOs Providing Statistical Data, Reference Works on NGOs, and Selected NGO Reference Resources. NGO Worldline - Information and listings of the about the international community of non-governmental organizations (NGOs). Organizations listed on this site are organized by region. NGOs Associated with the UN Department of Public Information - Directory of over 1,400 NGOs affilliated with the UN Department of Public Information. NGOs with Consultative Status with the UN Economic & Social Council - Includes NGO search engine, reports, and other links. Palestinian Non-Governmental Organizations Network (PNGO Network) - PNGO was established in September 1993, after the signing of the Oslo Accords, with the objective of enhancing coordination, consultation and cooperation among the different sectors of civil society. Since then PNGO has become an important component of Palestinian society and serves as an essential coordination mechanism for the NGO sector at the local, regional and international level. Quango - Quango or qango is an acronym (variously spelt out as quasi non-governmental organisation, quasi-autonomous non-governmental organisation, and quasi-autonomous national government organisation) used in the United Kingdom, Ireland and elsewhere to label an organisation to which government has devolved power. In the United Kingdom the official term is "non-departmental public body" or NDPB. It describes an ostensibly non-governmental organisation performing governmental functions, often in receipt of funding or other support from government, while mainstream NGOs mostly get their donations or funds from the public and other organizations that support their cause. Numerous quangos were created from the 1980s onwards. Safe World for Women - An independent non-governmental organisation which works with grassroots organisations and promotes the rights of women and children. USAID: Private Voluntary Organizations - An online searchable database of U.S. and international PVO information. What is a Non-Governmental Organization? - By Professor Peter Willetts, City University, London. World Association of Non-Governmental Organizations (WANGO) - An international organization uniting NGOs worldwide in the cause of advancing peace and global well being. See Worldwide NGO Directory. World Directory of Development Organizations and Programs - NGO Internet database searchable by name, country of activity, field, and project. This webpage last updated on Sunday, April 3, 2016 12:40 PM.